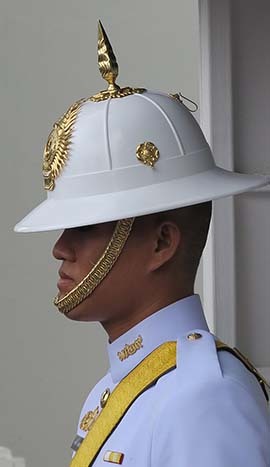 ◄ A short visit to Bangkok, prior to setting off on a longer trip, and I made return trips to some familiar sites. 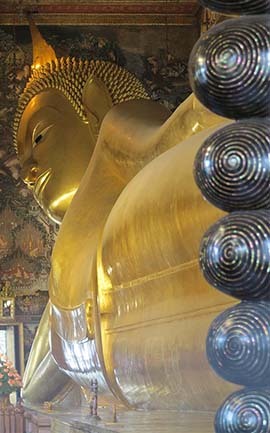 Like Wat Po with its gigantic reclining Buddha figure, all the way from the top of its head to to the tips of its toes. ▲ A surprisingly large water monitor lounging by the waterside as we cruised down the Mon Canal. ▲ And tourist boats sheltering under a bridge during a fierce (but brief) downpour.